Shri Yamushtakam is the first among the sixteen works known as shodashgranth. This particular granth is composed by Shri Vallabh in v.s.1549(1491 A.D.) on the Shraavan Shukla 3 during the prithvi parikrama Shri Vallabh was in Gokul and he was undecided about the exact place of Thakurani Ghat. At that time Shri Yamunaji herself appeared and guided Shri Vallabh and pointed out the exact place. 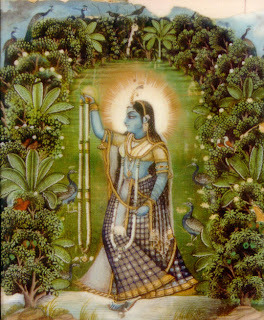 Shri Vallabh than and there composed Shri Yamunashtakam,the beautiful stotra,in the praise of Shri Yamunaji. It consists 9 verses,eight of them are written in praise of Yamunaji and in 9th Shri Vallabh describes for daily paath- doers the fruits of Shri Yamunashtakam. 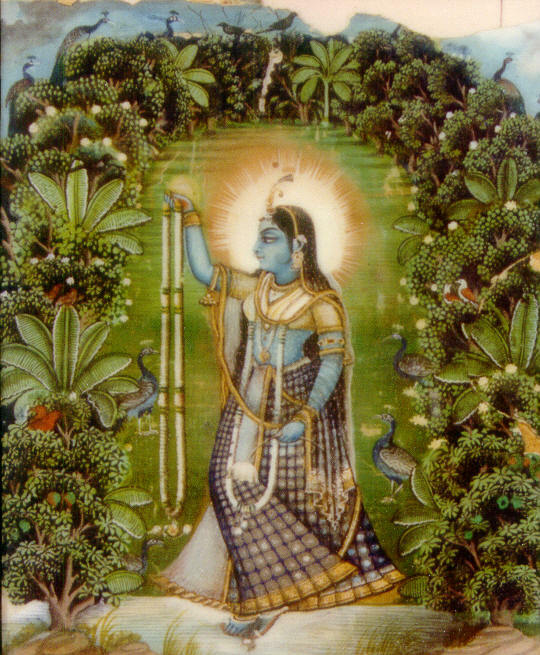 The fourth beloved (turyapriya)of Shri Krishna,Shri Yamunaji is epitome of selfless devotion towards Krishna,and only through her or her Kripa(grace) a jeeva(soul) can experience the param phal i.e. leela-pravesh. She purifies souls and removes all obstacles which are in the way between jeev and prabhu and gives the exalted jeeva a new body fit to experience the leela-phal-"tanu-navtva"! For ordinary bhakta of to-day the recital of Yamunashtakam daily will enhance his love towards Shri Krishna,abolish his paap-bad deeds and above all the bhakta will be able conquer his svabhava-basic instincts. Blessings Dhruti, thanks for following blog,regarding my translation it's Shri Yamune Maharani's kripa,otherwise it was not possible.but apart from this i don't do word by word translation,instead of that i give preference to Bhaav,i think that should be the reason. keep writing comments it gives me incentive. Thankyou for providing such a beautiful translation of Shri Yamunashtakam.Its very helpful for all like me who don't know Sanskrit.